The Kamov Ka-50 (NATO code name Hokum) was developed as a new-generation heavily-armored attack helicopter - originally conceived as a one-to-one replacement of the Mi-24 Hind. The program was launched at the Moscow-based Kamov Experimental Design Bureau in the late 1970s. The concept - promoted by the then young and inventive head of Kamov, Sergey Mikheev - called for an unorthodox, well-protected, agile and small-size attack machine. The unorthodox attack rotorcraft made its maiden flight in June 1982. 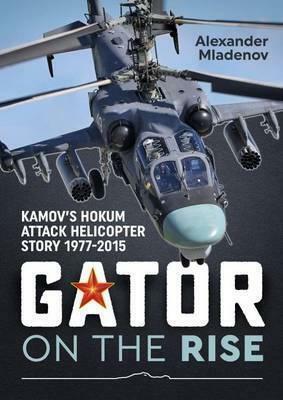 It pioneered the Kamov s trademark co-axial rotor scheme, combined with a highly automated flight/navigation/targeting suite and long-range antitank guided missiles. In the late 1980s - after a protracted head-to-head competition pitted against the Mil Mi-28 - it was judged as being definitely superior to its competitor and was subsequently ordered for serial production. The first production-standard Ka-50 took to the air in May 1991 and the new type was formally commissioned into Russian Army Aviation Service in August 1995. As many as five prototypes and 13 production-standard helicopters were manufactured between 1982 and 2009. The single-seat and highly-automated Ka-50, however, appeared on the scene at just the wrong time, with its production launched during the dissolution of the mighty Soviet Union and the onset of sharp cuts in Russia s defense budget, which led to its termination in the late 2000s. First design work on a two-seat derivative of the Ka-50 - designated as the Ka-52 Alligator - commenced as early as 1994 (initially as a company-funded venture). The first prototype - using the fuselage of a production-standard Ka-50 with a new nose section - was rolled out in November 1996 and made its maiden flight in the hover on 25 June 1997. In 2003, the Ka-52 successfully completed the first phase of the Russian military testing and evaluation effort - covering the flight performance. After three years, the Russian MoD finally allocated a budget for systems development testing and evaluation to be used within the framework of the second phase of the Ka-52 s state testing effort. In addition, the Russian MoD allocated funds to setting up a production line at the AAC progress plant in Arsenyev - situated in Russia s Far Eastern territories. Even before completion of this effort, the initial production-standard Ka-52s were rolled out in the second half of 2010 and handed over to the Army Aviation Center of Combat Training and Aircrew Conversion at Torzhok in December that year. Currently, the Ka-52 is the main new-generation type of the Russian Army Aviation Service, with approximately 200 examples ordered - plus another 36 for the Russia Naval Aviation."